This is a Genuine Hoover Part, not generic. Please save your old handle because it is NOT included in this kit. Hoover has recently changed the color and quality of the material used and part number on this tank. These are images of the New Style Tank only. If your tank had blue or green on it this is still the correct tank to replace the old one. They now only come in the Clear/Gray color and fit the same as the old blue or green ones did, but with improvements. The new tank will fit any Hoover Dual V shampooer with out any retrofit kit. The new design has reinforcements on the bottom to protect the valves and is made out of a much heavier grade poly. The new tank also has the soap bottle and water reservoir molded together, not glued. You will wonder why Hoover has not done this before. 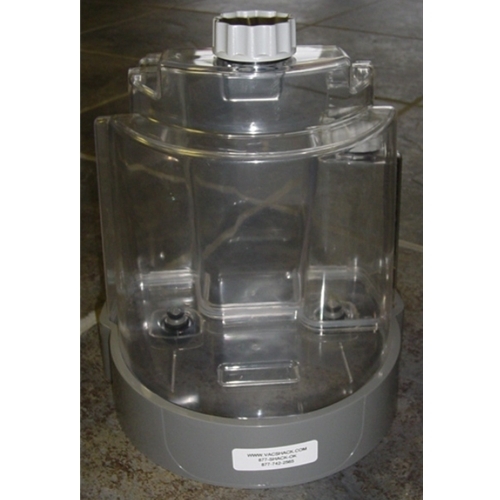 Old Part Number # 90001295 New Number # 42272104 We only carry and ship the new style tanks. The best part is our price.